Paul L. Frampton, Jr. is an experienced litigator representing employees who are wrongfully terminated or harassed at work. Since 2003, he has represented his clients in a litany of employment claims, such as employment discrimination claims, wrongful termination claims, sexual harassment claims, whistleblower claims, retaliation claims, workers’ compensation discrimination claims, FMLA claims, violation of public policy claims, both federal and state wage payment and overtime issues, free speech and constitutional claims. 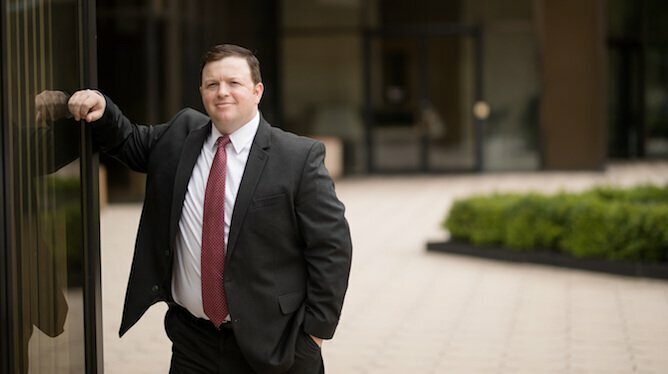 In addition to his work on behalf of mistreated employees, Paul also has experience litigating, among other things, claims of personal injury, automobile accidents, medical malpractice and insurance issues. I make sure that my clients have the very best opportunity for success. That means exploring every option to find the advantage. When a case goes to trial, Paul has the experience and knowledge necessary to give his clients a best result possible. He has represented numerous clients at trial and has been recognized for the success he has achieved for his clients by membership in The Million Dollar Advocates Forum and The Multi-Million Dollar Advocates Forum. Paul is a native of Huntington, West Virginia and resides in Cross Lanes, West Virginia with his wife and four children. He is active in his community and his church. He is currently the Scoutmaster of Boy Scout Troop #193.